What do all those augmentations do exactly? Let us explain. 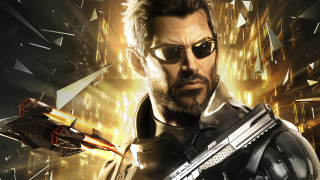 Adam Jensen is a man-shaped Swiss Army knife. There are 28 augmentations hidden inside his body—including seven new ones for Mankind Divided—and your play style will be determined by the ones you choose to activate and upgrade. So here’s a list of every single one, with details about what they do, other augs you can cleverly combo them with, and if they’re worth spending your precious Praxis points on. There are several moments in Mankind Divided where you can talk your way out of trouble, and this augmentation makes that a lot easier. Instead of trying to second-guess the person you’re confronting, the aug tells you what kind of personality they have, whether they’re alpha, beta, or omega. And with this information you can determine which dialogue responses they’ll respond the most positively, or negatively, to. Invest in this early. Upgrading it lets you hack higher security keypads and computers. Hacking can lead to handy shortcuts, safes filled with loot, useful intel, and hidden items, so it pays to brush up on your computer skills. And an additional upgrade tree lets you dominate turrets, cameras, and security robots, making them work for you rather than the enemy. This isn’t as essential as Hacking Capture, but it will make breaking into keypads and computers much easier. Fortifying a node slows down the system’s security, and the higher your Hacking Fortify level, the longer it’ll take the trace break through a fortified node. This aug reduces your chances of being detected while hacking a system. The higher level it is, the less likely you are to trigger a security trace. This cranial implant is unlocked by default and allows Jensen to send and receive transmissions. It’s a high-tech phone, basically. Another augmentation that’s unlocked from the start, which gives you a visual indicator of where a searching enemy last saw you. If you find yourself sneaking through a large, guard-filled area, this augmentation will come in very handy. It lets you mark enemies on the HUD and track them even when they leave your line of sight. The more you upgrade it, the more enemies you can tag at once, up to a maximum of 40. Combine with an upgraded Wayfinder Radar System (more on that later) and you’ll be fully aware of your surroundings at all times. To tag an enemy, hold your aiming reticle over them for about a second. Unlock this one straight away, because you’ll be using it a lot. It lets you see through walls, revealing computers, items, enemies, vents, and pretty much anything you can interact with. It’s invaluable for finding shortcuts, safes concealed behind paintings, hidden switches, and other helpful secret things. Upgrade it to majorly reduce its enemy consumption. You get this aug, which displays the HUD in Jensen’s vision, by default. But you can also upgrade it once to unlock a flash suppressant, which negates the blinding effects of concussion mines and grenades. The radar is another good aug to upgrade early. At its most basic level, which you get for free, it shows the topography of your surroundings and how long you have before an alarm resets. But upgrade it and you’ll be able to see the lines of sight of guards, represented as vision cones, and a visual representation of nearby noises—including your own footsteps. You can also boost its range to reveal more of the map around you. You’ll only need to upgrade this aug if you’re a combat-focused player. I ghosted my way through the entire game without spending a single Praxis point on it. Upgrades grant Jensen more HP and faster generation, which has obvious benefits if you’re into firing guns at people. Your batteries, basically. It’s not as glamorous as some of the other augs on offer, but spending Praxis on this early will benefit you in the long run. Because what’s the point in having all those cool cyber-powers if you can only use them for a few seconds at a time? A fully upgraded Energy Converter combined with the cloak aug makes sneaking through most enemy-guarded areas a breeze. So much so, in fact, that it takes a lot of the fun and challenge out of the game’s stealth. You won’t be using this augmentation constantly, but there are a few shortcuts through gas-filled rooms—often concealing some decent loot—that might make it worth dropping a couple of spare Praxis points on. Alternatively, most of these rooms have valves that make the gas slowly fade away. So if you’re feeling brave you locate it with your Smart Vision and try and make a mad dash for it before you choke to death. There are a few benefits to upgrading Jensen’s cyber-arms. One is being able to lift heavy objects, which often conceal hidden entrances and vent covers, or can be used to create makeshift steps. Another is expanding your inventory size, giving you more room to store all those bottles of wine, gas grenades, and sellable junk. And the upgrade that lets you punch through walls is another great way to uncover hidden paths—but it makes a lot of noise, alerting any enemies close enough to hear it. Another augmentation for combat fans. Again, I didn’t put a single point into this in my pure stealth playthrough. Upgrading it stabilises your aim, reduces recoil, and increases your reload speed. The Pulsed Energy Projection System, or PEPS, was a weapon in Human Revolution, but now Jensen has one built into his arm. It unleashes a blast of concussive energy that knocks enemies on their arse. One of the best new augs in Mankind Divided, which I suggest unlocking as soon as possible. If you’ve ever played BioShock 2 you’ll be familiar with how it works. It lets you temporarily disable turrets, mines, cameras, tripwires, and other security devices from a distance, from cover, by completing an easy timing-based mini-game. The effect lasts for about 25 seconds, giving you plenty of time to sneak past. I used this constantly. Another new augmentation that lets you fire a small arc of electricity at a target, incapacitating them non-lethally. Upgrade it and you can fire up to four arcs simultaneously at four separate targets. Those scary-looking black chisels that pop out of Jensen’s arms are back in Mankind Divided, but now you can fire them as a projectile—pinning enemies gruesomely to walls—if you upgrade them. An old favourite returning from Human Revolution, and worth investing in early. The levels in the new game are a lot more vertical, and you’ll find yourself climbing up the sides of buildings and over rooftops in Prague to break into people’s apartments and take shortcuts. Unlocking this ensures that if you fall you won’t die horribly on impact. And if there are any enemies below, you can use Icarus Strike to knock ‘em out. Bonus. Unlock this and you can perform a lethal or non-lethal takedown on two enemies at once. I didn’t bother with it myself because I never encountered any situations that needed it. But maybe you will. Another aug I never used, but some players swear by this one. It allows Jensen to unleash an explosive blast with a wide radius that can either kill or knock out a group of enemies. When you first unlock it you have to decide whether to make it lethal or non-lethal, and the decision is permanent. Using it requires ammunition, however, which can be quite rare. Another new augmentation which allows Jensen to briefly slow down time. Not especially imaginative, but should be useful for the combat-focused players among you. Upgrade it to extend the duration. You know the Blink power from Dishonored? This is basically that. Hold down the assigned button to charge it up, then point at a climbable ledge until a hand icon appears. Release and Jensen will automatically teleport over and grab it, hauling himself up. Unlock this straight away, because it makes navigating the world so much easier. And you can often bypass high security doors in Prague by teleporting up to the window and climbing inside. Make sure you’ve unlocked Icarus Landing first, though, because if you mess up an Icarus Dash (you will), you may fall to your doom. If you want maximum mobility in Mankind Divided, unlock this along with the Icarus Dash and Icarus Landing. The cybernetic leg aug lets you jump much higher than normal, which is handy for grabbing distant ledges and hopping along balconies in Prague. Get this one early. This augmentation is both a blessing and a curse. On the one hand, being able to turn invisible for a few seconds is extremely useful in a stealth game. But as your batteries get more powerful, you can stay cloaked for longer, and it makes some sneaking missions incredibly trivial. I used this a lot in my first playthrough, but in my second run I’m trying to limit its use to desperate situations. Using this is a totally legitimate way to play the game, but you might have more fun if you don’t rely on it constantly. Essentially body armour that reduces damage taken. When unlocked it’s always active, meaning you never have to activate or charge it. A new aug that covers Jensen in weird diamonds and gives him an enormous defense boost. But unlike the Rhino Armour, this one uses up energy fast and can only be used in short bursts as a result. If you’re combat-minded, this is a good way to wade into enemy lines, guns blazing.